The Aeroflex® .085 line of products was developed for use with aerosol penetrants utilizing the very common small diameter straw. (Better known as “The Little Red Straw”). 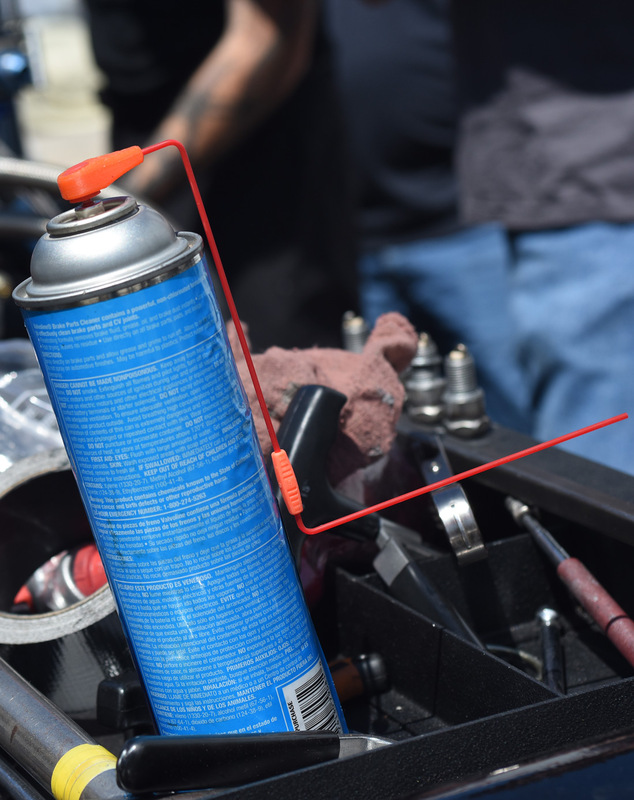 These smaller diameter straws are found on a wide variety of aerosol products that include brake clearers, carburetor cleaners, rust penetrators, lubricants, silicones, dry films, pesticides and many, many more. Aeroflex® Straw Locs’, Pro-Shot Two-In-One Angled Straws and Power-Grip Connectors give you total control at your finger tip. Allowing for ease of maneuverability in tight confined spaces for pin-point accuracy of your favorite aerosol penetrant. Easily reach around, past and through any angle, distance or obstruction. 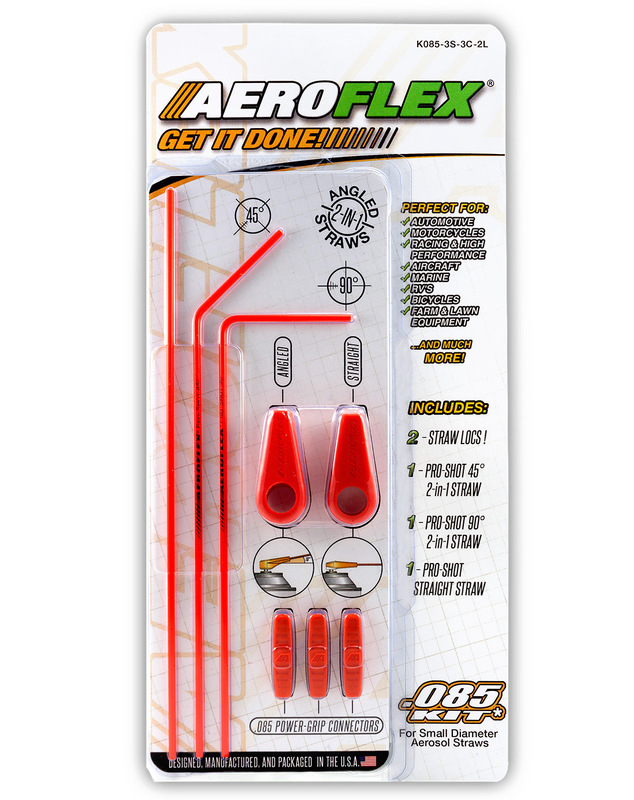 Aeroflex® .085 Kits combine Aeroflex® Straw Locs’, Pro-Shot Two-In-One Angled Straws and Aeroflex® Power-Grip Connectors in a convenient multi-use package. 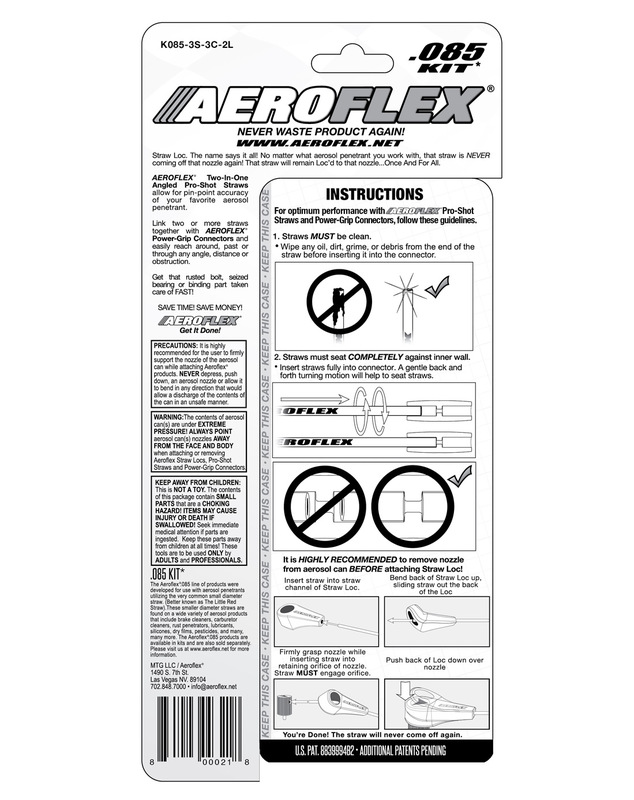 Aeroflex® .085 products are available in kits and sold separately. Copyright 2019 MTG LLC. All Rights Reserved.